Andy Lipkis, Founder and President of TreePeople, describes how this organization has pioneered an integrated approach to managing urban ecosystems as watersheds in the Los Angeles region. This involves strategic tree planting, tree-mimicking technologies, and community engagement to generate multiple solutions to the environmental threats facing our cities, including ensuring a sustainable water supply, reducing greenhouse gas emissions, preventing water and air pollution, fostering stronger neighborhoods, and creating jobs. For a summary of TreePeople's six demonstration projects that are now collecting 1.25 million gallons of water every time it rains 1" in Los Angeles, visit www. treepeople.org. Video Going to Green: Planting Seeds of Change with Community Forestry produced by the Media & Policy Center Foundation for PBS. He talks quietly, but, when it comes to ocean and beach preservation, Paul Jenkin knows how to get things done. Active with the Ventura Chapter of the Surfrider Foundation, Paul now serves full-time as the Ventura Campaign Coordinator. You can see him occasionally at City Council meetings reminding the City about coastline preservation. He sat down to update me on some of Surfrider’s recent work. T: How long have you worked with Surfrider? P: About fifteen years I started as a volunteer and eventually figured out how I could stay on and work full-time. T: What are some of the things Surfrider has accomplished during this time? P: Well, we’re finally ready to go, but need to pull together enough funding to help reconstruct Surfer’s Point. It’s been a long haul on that project. The other thing we’ve been involved with is the eventual removal of Matilija Dam. There’s tons of sediment buildup behind the dam, enough that, in heavy rains, the water just runs right over the top. Once it’s removed, it will open up lots of habitat and allow sediment to naturally flow and replenish the Ventura River Delta. T: Anything immediate on the horizon? 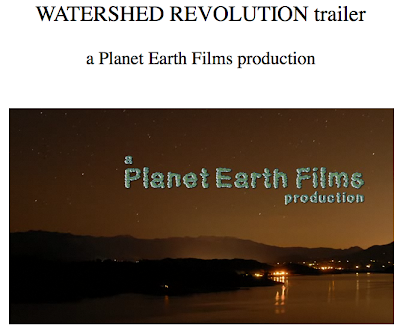 P: Yeah, we’ve produced a film called “Watershed Revolution”. It deals with some of our more pressing issues re: water and water management. 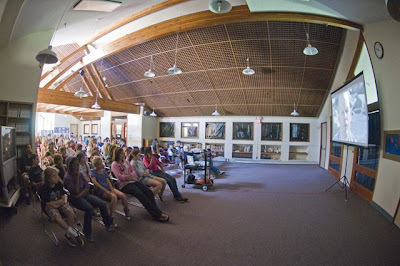 There’s going to be a premiere public showing June 20 at the Elks Lodge and June 24 in Ojai at the Chaparral Auditorium. T: What do you see as most pressing today in terms of Ventura water management? T: What’s basic to this plan? P: Restoring the natural runoff that we’ve siphoned into the storm channel. Rather than sending all runoff toward the beach, we’d like to create some demonstration projects where water gets channeled higher up into places where it can naturally be absorbed back into the earth. 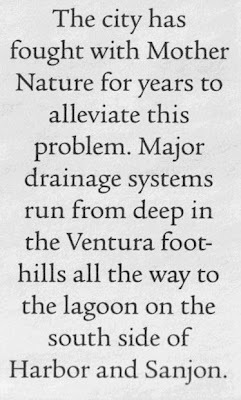 For instance, Ventura has a dozen or so natural creeks that have all been run underground by the City. We could practice what’s called “daylighting”, that is, disconnecting those creeks from storm drains and letting them reabsorb naturally back into the soil. An example of this would be to create ocean friendly gardens, i.e., using that water to naturally replenish the City’s landscaping. P: We need to create a “green” infrastructure. Right now City departments have been isolated from each other and are simply doing their own thing. A coordinated plan by these departments would help them put together a more integrated plan where everyone is on the same page. That’s what Surfrider is trying to encourage. What we’d like to do now is secure funding for smaller demonstration projects. Start small and chip away at this problem until lots of little things start to add up. T: Do you foresee this actually happening? P: We’ve managed to get the city to address it in their capital improvement plan. What we’re working toward now are grant monies to get these projects going. T: When do they begin work on Surfer’s Point? P: Soon. We’re just waiting for funding so that we can begin as soon as this fall. The Sacred Craft expo at the fairgrounds this weekend brought out hundreds of surfers to see the latest in the surfboard craft. Among the big draws was the shaping booths and "Tribute to the Masters Shape Off." Surfrider had a booth at the show - on Saturday the Santa Barbara Chapter highlighted their Gaviota Coast campaign. I worked the booth with the Ventura Chapter for several hours on Sunday. It was great to speak with so many core surfers about our campaigns here in Ventura. The most popular questions: "When will the Surfers' Point project begin?" "What is up with the Corps of Engineers and Matilija Dam?" I had to explain, it's like trying to catch a set wave on a crowded southern hemi swell with 20 minute lulls... a long waiting game at best. Last update on Arundo was last year's public meeting. County contractors began followup treatment this spring, using backpack sprayers to retreat the sprouting plant throughout the project area. This photo is the view from the road looking out into the sediment-filled reservoir area above Matilija Dam. Re-sprouting Arundo is evident in the foreground, as well as the large clump in the background. This is typical throughout the area. On this day, workers were half a mile downstream. 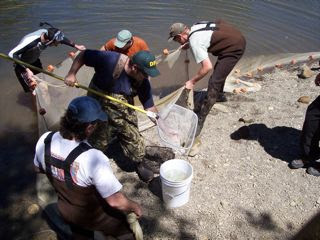 According to the Ventura County Star, fisheries biologists last week captured and relocated 14 juvenile steelhead from a pool on the Ventura River. 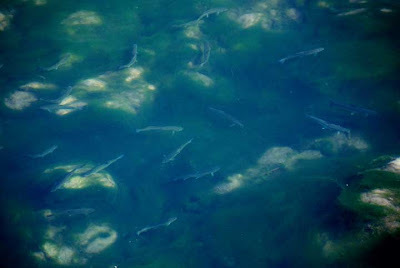 These fish were in danger of stranding as the river dries up. I took these photos the evening before and morning after the rescue. Within 36 hours, the inflow was gone and the pool had become a muddy water hole. Stan Glowacki spent an entire work day fishing the Ventura River. These were not ordinary fish he was seeking and they weren’t destined for Glowacki’s frying pan. The fisheries biologist with the National Marine Fisheries Service was trying to catch 14 steelhead trout that were in a quickly evaporating pool in the Ventura River last week and move them upstream to deeper pools where they could wait out the hot summer. It’s a problem that happens every year and Glowacki’s office is flooded with calls to help the endangered fish. And every year, an ad hoc plan is drawn up on how to deal with the issue. Until this year. NMFS is working with the California Department of Fish & Game to come up with a permanent plan on what to do with the fish when waterways in Ventura and Santa Barbara counties dry up. A federal permit to handle the endangered fish is expected to be completed by the end of this month and will detail how the fish will be saved. The plan gives Glowacki and Fish & Game biologists leeway to take the fish upstream or downstream depending on the river conditions that year. Some say that while a plan is needed, they wonder if moving the fish farther upstream away from the ocean, their migration destination, is the wrong solution to the problem. He thinks that moving the steelhead upstream could make the task of getting past the Robles Diversion, which diverts water from the river to Lake Casitas, and eventually to the ocean, all that much harder. Russ Baggerly, another environmentalist who had campaigned on behalf of the fish, agreed. But Glowacki said the fish have a better chance, at least this year, of surviving upstream where there isn’t the problem of the river drying up. “The argument is where are they going to survive the best and where is their best chance of survival,” he said. Taking them downstream or into the Ventura River estuary during dry summers could harm the fish more than help them, he said. 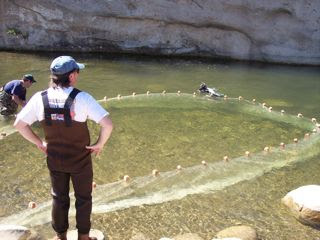 Every year, he said the decision to take the fish upstream or downstream should be based on the river conditions. Jenkin said he’s just glad that something is being done to help the species and keep them from dying in shrinking pools. “I’d hate to see more crispy critters dried up on the river,” he said. One of the reasons to tear down the Matilija Dam was to let all the silt and rock built up behind it to flow down the Ventura River and out to the ocean — where it would have gone naturally if not for the wall of concrete blocking the way. But officials in charge of one of the largest dam removal projects in U.S. history have hit a roadblock. They no longer know where the 6 million cubic yards of silt and rock would go. Of the two proposed disposal methods outlined in the plan to destroy the dam, one is proving too expensive and another was scuttled after private property owners said they didn’t want the silt on their land. Darrell Buxton, a U.S. Army Corps of Engineers project manager in charge of the removal, declined to say what alternative options are being examined or how many there are. 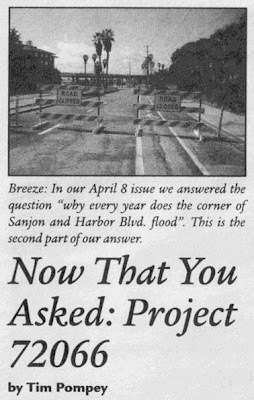 But he said they will find an answer that will keep the project on schedule to start deconstruction in 2011. “I am confident that there will be a solution and this decision doesn’t have to happen until we are ready to take the dam down,” he said. Critics say if another alternative is proposed —such as pumping all the silt to one location and making a de facto landfill out of it — much of the reasoning behind tearing the dam down will be lost. Jenkin and others had thought the proposal was to put the silt into a series of pipes that would take it to strategic places along the Ventura River near Baldwin Road. It would then undergo a series of procedures to “dewater” it so it would become hardened. Over time, as big storms flooded the river, the silt would be carried downstream and out to the ocean. The rock and silt would help stabilize beaches in Ventura, including Surfers Point. But Buxton said the dewatering process has become too expensive — the estimate has gone from $18 million to more than $40 million, he said. Another alternative was to pump the silt down river to property owned by the Church of the Living Christ, where it would make an oblong sort of levee more than a half-mile long. But church officials said they didn’t want it on their land, which sent the engineers back to the drawing board. Of bigger concern to Sheydayi is that if this part of the project is going over budget, he wonders what other costs will increase. “Nobody expected the overall project to increase incrementally like we are looking for the Baldwin Road site,” he said. Jenkin said when considering the total cost of the project — $140 million to remove the dam and build new infrastructure along the Ventura River — an increase shouldn’t stop officials from the proposal to pump it downstream. “When we talk about permanent disposal and impacting recreation and other permanent impacts, that is a different deal than we signed on to,” he said. Buxton said the new proposals of what to do with all that silt and rock should be made public by early fall and it shouldn’t slow down the timeline. A crowd packed the Board of Supervisors hearing room today as the Regional Water Quality Control Board (RWQCB) heard testimony and comments on a long overdue 'stormwater permit.' At stake is how runoff from our homes, businesses, streets and parking lots will be regulated over the next 5 years. Ventura County presented their current stormwater program, and the expected fiscal impacts of increased monitoring, with the overriding message that they are award winning leaders in watershed management. "Second to none," said Jeff Pratt, director of Public Works. Then, in a surprise move, the NRDC petitioned the board to allow an opportunity to 'cross examine' RWQCB senior staff, Sam Unger. 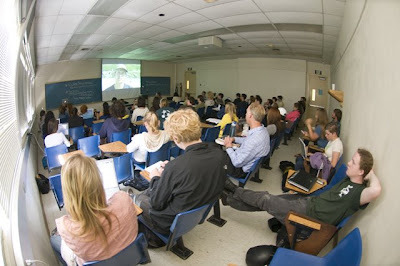 NRDC lawyer, David Beckman, proceeded to expose the fact that Mr Unger was unfamiliar with other permits around the country, and was biased against requiring infiltration and filtration techniques to control pollution. The remainder of NRDC testimony clearly highlighted the loopholes and weaknesses of the LID provisions in the Tentative Draft permit. Heal the Bay also had time to highlight the lack of details in the monitoring requirements and alternative regional solutions, among other issues. Over the past 3 years, several workshops have been held in Ventura County to discuss this permit, often touted as a precedent for a 'next generation' regulations. While the municipalities and building industry have consistently cited economic reasons against more stringent requirements, my message has remained the same: ne w development is only one part of the problem. 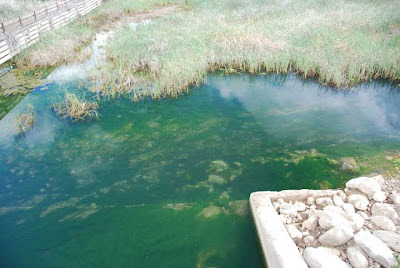 Existing infrastructure is a root cause of the current poor water quality. Moreover, existing development has also increased flooding, which in turn has resulted in increased flood control. And for the most part, 'flood control' has meant turning the natural waterways into concrete channels that convey even the lowest flows directly to the creeks and ocean. Good afternoon members of the board. I'm sure some of you saw the recent PBS documentary titled 'Poisoned Waters.' This TV show documented how we have completely failed to protect water quality over the past 40 years. I am afraid that this permit will not solve our problems. It is a small step in the right direction, but misses some critical pieces. Did you all read this permit? It's huge. And it's very hard to understand. This document is unclear and needs more work, so we do not support the permit as currently written. In "stormwater" we really are talking about two problems within the bigger picture of water management. The existing built environment and future development. The LID requirements are the bare minimum to address future development. Local government claims to be 'stewards' of our water resources, yet they continue to permit bad development. Because all CEQA documents use the RWQCB requirements, this has to become the minimum legal requirement to ensure we don't make the existing problem worse. Did you know that 80% of the impervious area in our watershed is transportation related? There must be hundreds of acres of impervious parking lots constructed since the stormwater permit started in 1992. So while LID would be required of developers, the cities and county are not held to the same standards. They need to be required to install BMPs to treat low flows when streets or storm drains are maintained. The city of Ventura has a proposal to begin to do this, and Surfrider is working with them. But there needs to be funding for this type of project. For instance SEP (supplemental environmental project) money should be applicable to planning this type of retrofit. Thank you. After 11 hours of presentations and testimony, the board passed the new permit, with the 'city/NGO deal'. So we get LID requiremtne for new development, but the municipalities are off the hook forthe existing problems (for now.) This headline is unfortunate, as the 'taxpayers' are also subsidizing the bad practices that create stormwater pollution (i.e. flood control.) The irony is that while a change in actual water management would save the taxpayer, the municipalities have invested the majority of their staff time for four years working to de-fuse the permit. Imagine the projects that would be 'shovel ready' if that kind of energy would have gone into solving the problem. The answer is explored through interviews with local folks working to protect and preserve the Ventura River watershed, while stunning high definition cinematography brings to life the beauty of the river. The unique challenges faced by a river that is the sole source of water for a thirsty community are brought to life and will change forever your definition of a watershed. Watershed Revolution is a 30 min film that profiles community members and organizations working to protect and restore our watershed. It highlights the need for open space and floodplain protection, sustainable agriculture, and community awareness of our most precious resource: water.